Some cRPG purists might lament such additions as "couch co-op" and "not using the keyboard/mouse combo" as blasphemous but hey; not everybody grew up playing Baldur's Gate II. Sometimes branching out into new territory can be fun! Check out the launch trailer celebrating the release. The biggest benefit to Enhanced Edition is, in my humble opinion, the ability to play it in the same room. Sure, you can fuss at each other over Skype over who gets what loot, but it's just not the same as looking someone in the eyes before screaming "That's my medallion, you took both of those rings and I said nothing!" Let's not ignore the PC, either. The birthplace of the cRPG is getting this massive update for free, which throws plenty of new content at an already great game. With a rewritten story and brand new ending, even fans who have defeated it once can hop back in and discover something new. 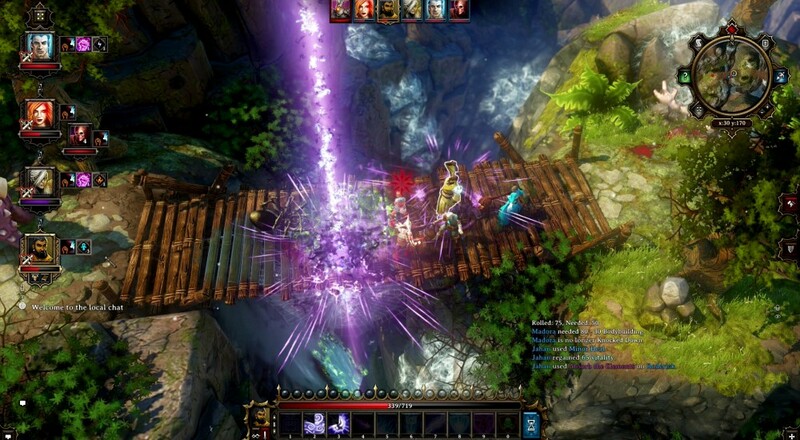 Larian Studios put together a PC release trailer as well. Handing someone a controller is also a lot easier than slapping someone down in front of a mouse and keyboard, patiently explaining what every single menu does. That way, even your friends that flunked out of Icewind Dale University can still have a shot at Original Sin Correspondence School. I'm just happy an entirely new audience get to meet Divinity. Maybe someone dipping their toe into the waters of cRPGs on a console will be more likely to approach some of the pillars of the genre on PC.